The Fresno MC is fresh off of a strong year which featured well-received collaborative albums with producers DirtyDiggs (Dirty Planet) and Apollo Brown (Anchovies) and his recent solo-project The Golden Buddha. Today, Planet Asia announces his new project, Mansa Musa, which will be released on 5-25-18. The projects features collaborations with Tristate, Montage One, Phil The Agony and The Winners Family members Hus Kingpin and SmooVth who guest on the projects first leak “Mansa Musa Medallions” which was premiered by HipHopDx. All three emcees take turns delivering jewels and spreading opulence, much like the 14th century African ruler they name check in the tile (who has been referred to as the richest man who ever lived). 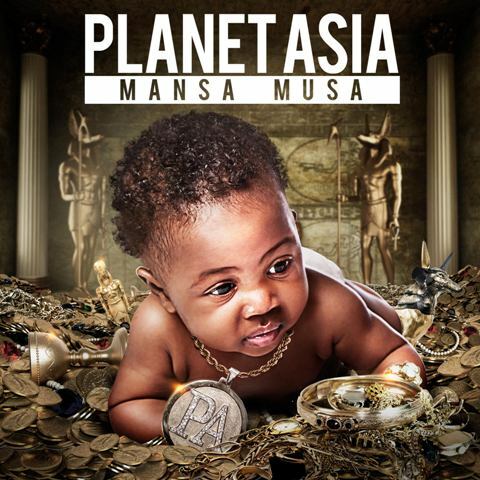 Planet Asia’s Mansa Musa will be released on 5-25-18. Pre-Order and Bookmark at iTunes and Spotify.